I am always weak to snail products since they are so good to my skin and I can actually see the results whenever I use them. This product is also no exception. If you want to know my other Etude House reviews, please click here. But for today, I will be reviewing the Etude House 0.2mm Therapy Air Mask in Snail. Etude House's 0.2mm sheet mask line got 3 different essence types. The moist water type essence, the ampoule type essence and the emulsion type essence. From what I have experienced, the emulsion type essence is the thickest and the most moisturising while the moist water type essence is the thinnest and the most hydrating. 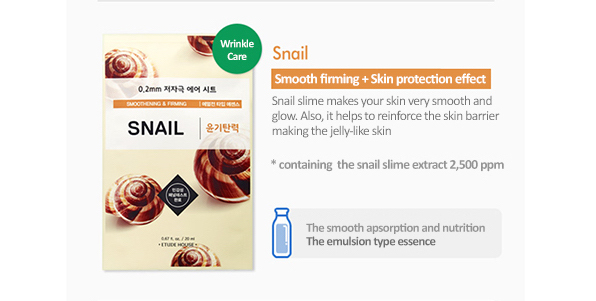 The snail sheet mask is the emulsion type essence that contains the snail slime extract and will the skin glow from within while adding nutrients to the skin to reinforce the skin barrier. According to Etude House, the mask claims to be smoothing and firming to the skin. 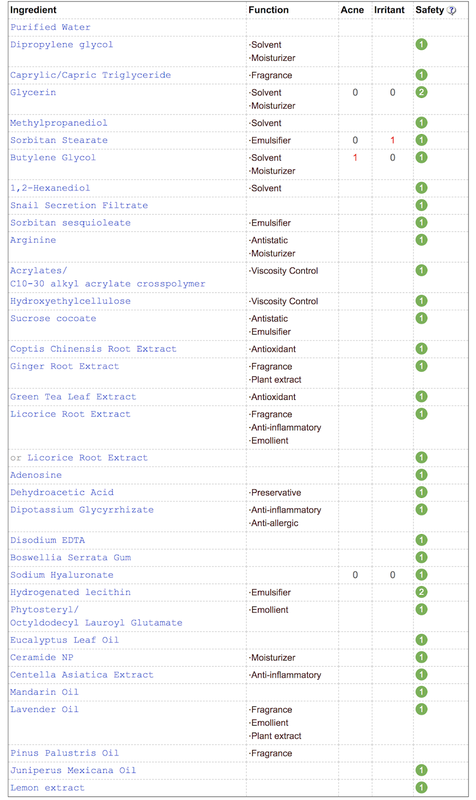 Here is the screengrab from COSDNA with the ingredient list. The ingredient list is super clean but I won't go into details since 1. 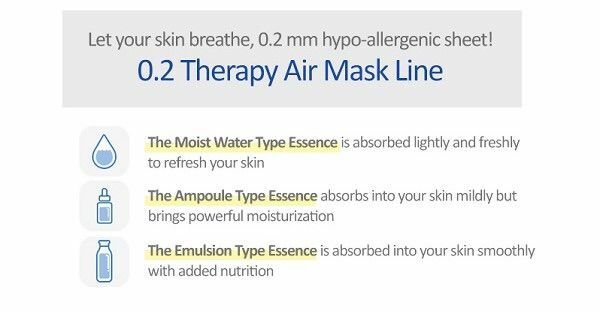 I don't know much about ingredients and how it effects on the skin properly and 2. this blogpost will be a 5000 words report on this mask so I don't want to feel like I'm writing a report even after my MBA degree (lol). I'll focus more on how I felt and what it does to my skin and whether it is worth buying or not from my experience. The mask material is a thick cottony material that is thick in texture and a bit rough to the skin. It is much heavier than the moist water essence type sheet mask but because it is thicker, it is not easy to tear at all. Since it is thicker, it is easy to unfold and apply on the face. The fit is okay. I like the eye and mouth cut outs better than Innisfree but the actual size in the sheet mask is smaller than the Innisfree so it didn't go until the edge of my forehead. It's okay but I wished they had a bit bigger masks. Once it is on, it won't budge till you decided to take it off. I tend to do my studies or write blogposts while I mask so it's always a time saver. The essence is a milky consistency and there is 20ml of the essence inside the packet. Although there is 20ml of essence, most of the essence is sticked to the sheet mask so there is not much left inside the packet while using. Since it has a milky consistency, I like the fact that it is not as drippy so you can use them on the planes and such. They recommend me to leave the mask on for 10-20 minutes. So, as usual, I left it on for 20 minutes and I was surprised to see that the mask is very easy to dry up. I was disappointed as they dry up so fast and that there is no leftover essence for me to reapply during the masking time. After using the mask, my skin did felt very smooth, soft and moisturised. I did felt a bit of firming but it's very faint. But I just love the snail mask way more than the other ones that I have tried and I saw a glow the next morning. Not sure whether it is the mask or my skincare routine that made the glow to stand out but I really enjoyed using this mask. It is not as sticky as the ceramide one so I really enjoyed using this mask. Overall, I will give this mask a 4 stars out of 5 and I will use it again for sure!